health care to families for more than 40 years!. Our Surgery will be closed over the weekend of the 16th March as We are moving. We will reopen at our new Practice Monday 18th March at 8:00am. There will be parking at the rear of the building for patients and Laverty Pathology is located inside for your convenience. 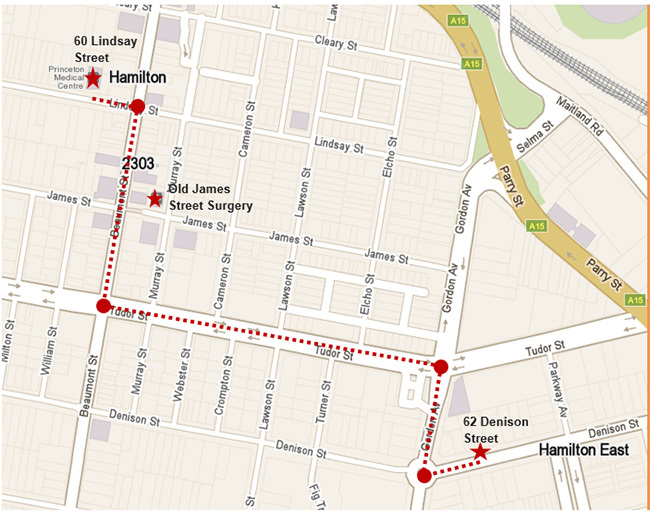 Denison Street will remain open for now, but some of the Doctors from there will now be located at Lindsay Street, please check on the appointment app HOT DOCS for this or ask our reception team. and interests in Men’s and Women’s health, shared antenatal care, Paediatrics, Geriatrics, Mental Health, Skin checks, minor surgical procedures, travel medicine, routine childhood immunisations and workcover issues. A ‘My Health Record’ is a secure electronic summary of an individual’s healthcare information. The ‘My Health Record’ will support your journey through Australia's Healthcare system. Whether you are visiting a hospital, GP, specialist, emergency department, pharmacy or other healthcare professional, relevant and essential information can be accessed by both yourself and your healthcare provider. Yes! Patients have control over what information is uploaded to their ‘My Health Record’. Patient Privacy Controls: Patients have the ability to control which organisations can view their ‘My Health record by setting a ‘Record Access Code’. This restricts access to your My Health record so only organisations that have the code can view information. We can activate your ‘My Health Record’ for you whilst your visiting the surgery! It takes 2-3 minutes and can be done while you’re waiting! Speak to reception about activating a ‘My Health Record’ today!